A magician that has a funny act that does classic magic. 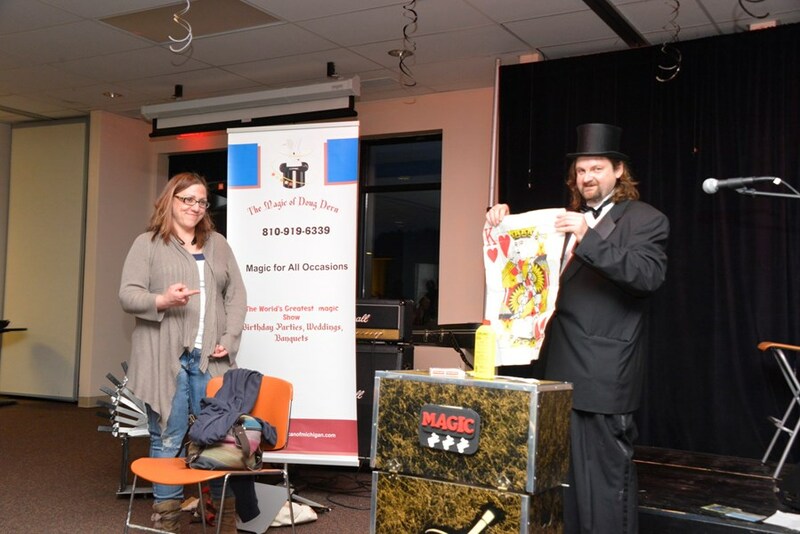 This act is perfect for a kids birthday party or a local banquet. 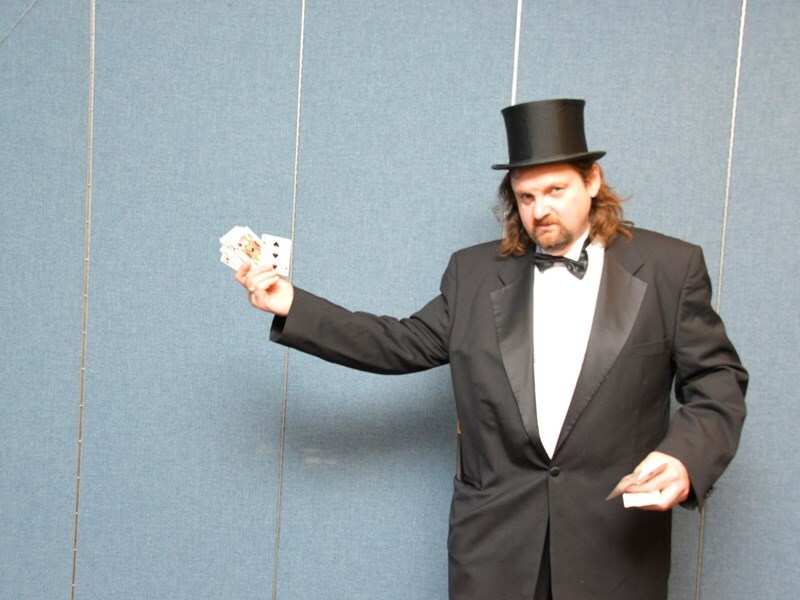 If you are having a kids birthday party and want a magician that will dazzel your guests and make your party a smash this is the magician that does the classics. You can have some fine illusuions like floating a table or a silver ball that will appear to be a miracle. The birthday person gets magicial powers for the day and will transform 3 silks into a flag, pass a silk through a can and make it magically appear in a bottle, or maybe even put the person of their chosing into a guilotine. Although it is a kids birthday party it really is a family show. There is lots of audience participation and it is a fun time for all. If you are having a local banquet or get togther for your company and their families this is the perfect act. 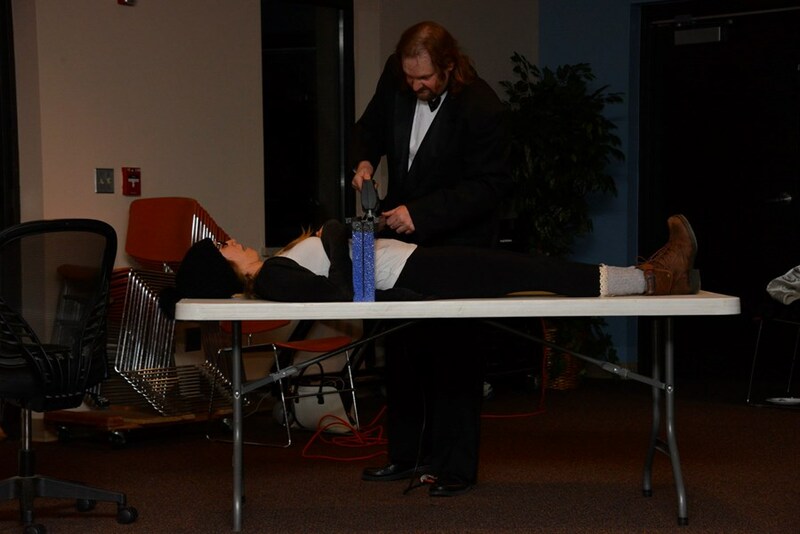 This is a magic act that provides comedy, illusions, magic and classics. This act may include escaping from a straight jacket, floating a table around the room, feats of mind reading, hindu miracles, or putting the boss into a guilotine, or catching a bullet ( or paintball) fired by a spectator in the teeth. This act is tailored for the small company banquet. It is about packed with quality entertainment. This act is also good for weddings as this act has amazing walk around magic. Allow your guests to see the magic happen in their hands. Card magic, coin magic, chinese linking rings, or hindu miracles. He's very good with kids. The last trick he did had me wow'd. I would recommend his show on a not so windy day. Please note Doug Dern will also travel to White Lake, Milford, Hartland, Davisburg, Union Lake, Commerce Township, Wixom, Holly, Walled Lake, New Hudson, Drayton Plains, Waterford, Drayton Plns, Clarkston, Independence, West Bloomfield, Brighton, Fenton, Keego Harbor, Novi, South Lyon, Linden, Ortonville, Howell, Pontiac, Farmington, Salem, Hamburg, Northville, Auburn Hills.